With the massive success that the Switch has had so far, and the wealth of games released in the first year, Nintendo's hybrid console is almost a dream made reality. However while some people are basking in the glory of the Nindies, the outstanding first party games, and third party titles we never thought we'd see, it feels like the pace has slowed a little since last year. I've certainly not been picking up as many AAA titles, nor as many indies, as I was around this time 12 months ago. E3 needs to be a hit for Nintendo this year. It needs to strike a chord, not only with me, but Switch owners everywhere, to pick that momentum back up. Year one couldn't have been better, with Mario, Zelda, Mario Kart, Xeoblade, Splatoon, Skyrim, Doom and the massive list of other games that came out, it's hard to not be happy. 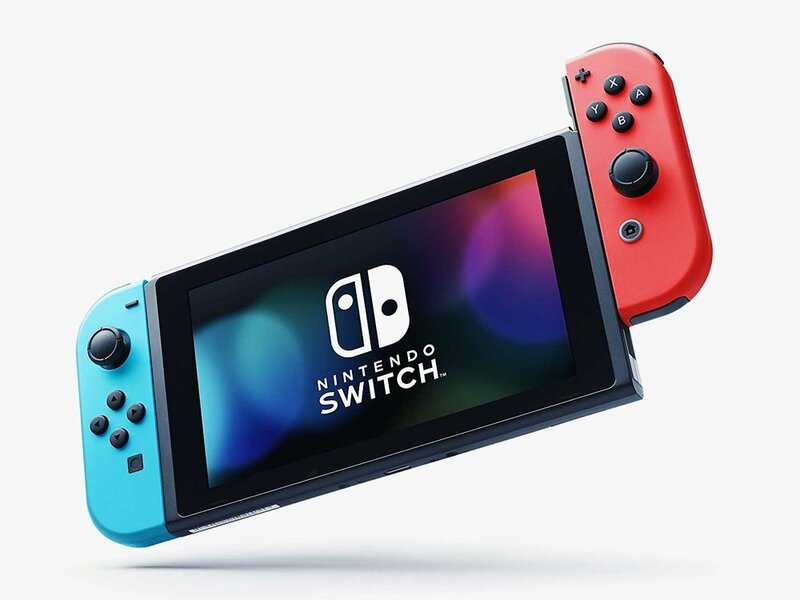 This hasn't been the case for the Switch's second year so far however, with a stream of ports, lack of first / third party games and a flood of mobile to console shovelware. There's more to it than just lack of games too. Those titles that have released in 2018 have had a somewhat salty reception from fans. From Donkey Kong's "over priced port", to Labo's "it's just cardboard", it's been difficult to get excited amongst so much negativity. So lets talk ports! Ports have been weaving their way through the Nintendo Switch's' library thus far. Mario Kart 8 Deluxe was the first major one to hit, with a robust battle mode that most fans really missed from the Wii U's original. Spinkle some other small additions over the top, plus all the previous paid DLC included, and you have a great port filled with new content and features that you previously had to pay for. Worthy of a double-dip at full price. Same goes for Skyrim and DOOM. But lack of value seems to be the problem this year. Payday 2 was the first game to suffer from the porting curse. It added a new character, but online chat and other features were missing. It's easy to say that it's a sub-par port. Donkey Kong Country: Tropical Freeze is also an offender in this regard, as the price difference is a big deal. Going from the cheaper Nintendo Selects line on Wii U, to being a full priced retail game once again on Switch, it could've done with a real expansion of the kind Mario Kart 8 received. The one addition (Funky Kong) is not enough to justify paying more than double for what is essentially a four year old game. This list can continue, but lets move on. Personally I haven't bought any games apart from Indies this year. That said, I will be buying Hyrule Warriors for the third time. This is mainly due to my love of the game as a whole, and I didn't buy into the DLC for the 3DS version, leaving a gap that needs to be filled. The inclusion of all that extra DLC makes double-dipping (or triple-dipping in this case) justified in the same way the additions to Mario Kart 8 Deluxe did. True not all releases this year have been ports. Kirby is a joy to most, but it's one franchise I can't take to, and lord knows I've tried. I wish I could love the pink puffball the same way I do most Nintendo franchises, but for whatever reason it's beyond me. That's ok, not everyone needs to like everything. Then there's Labo. While interested, I also got to have early hands-on, and I felt like this was enough for me. If my daughter was older I'd have picked it up in a heart beat, but as an individual, it's just not something I want to build on my own. There's South Park and a few others, and all of these titles are solid entries to the Switch's library, but they're not the big hitters like Zelda, Mario Kart and Super Mario Odyssey that we were enjoying in year one. E3 has to be a good one this year, otherwise 2018 could end up being rather forgettable. Not an actively bad year, just a forgettable one. I crave new stuff. ARMS was a shining light in 2017, fitting perfectly alongside the likes of Zelda, Splatoon and Mario Kart. New franchises is what I want more than anything. Less ports, and more "new". Port or not a port? That's the debate between Nintendo fans when you mention Smash for Switch, though in my eyes it's new. The saviour of 2018 is Smash so far (assuming no delays) and I really hope it manages to meet its release date. E3 could change everything though. We haven't heard from Fire Emblem Switch since it was announced, Yoshi has also been quiet and then there's the unlikely-to-be-out-this-year Metroid Prime 4. E3 has so much potential, I can't help but be excited. Let's just hope that the hype train stops off at the station before it derails. Gary is the co-founder of and writer for Nintendo Village, and also hosts multiple shows including Topic Nintendo. A fan of not only Nintendo, but all things gaming. However, the GameBoy is where his love first blossomed. His favourite game is The Legend of Zelda: Links Awakening.